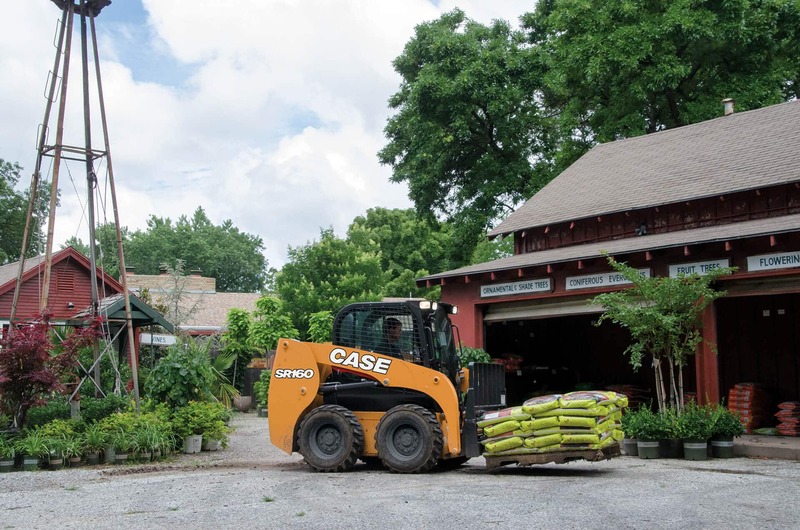 Perfect for the agricultural, rental and landscape markets, the CASE SR160 skid steer has a compact chassis making tight spaces easier to work in. 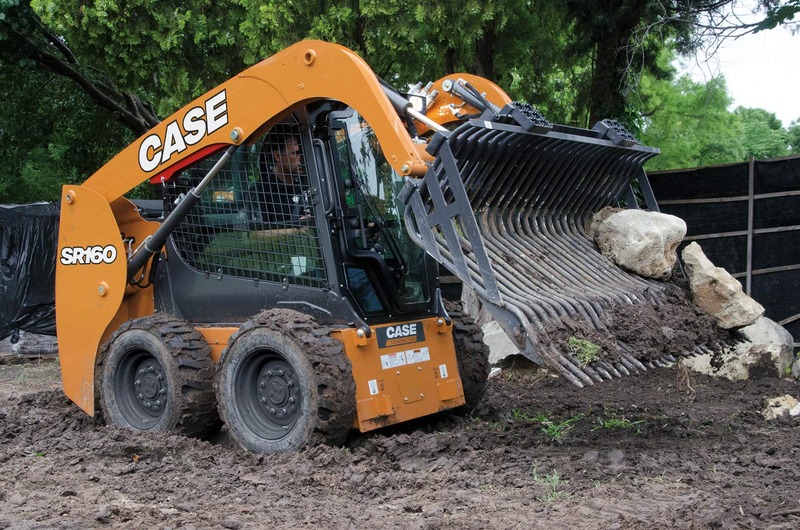 This machine has an extremely low overall height, making it easy to transport with a trailer. 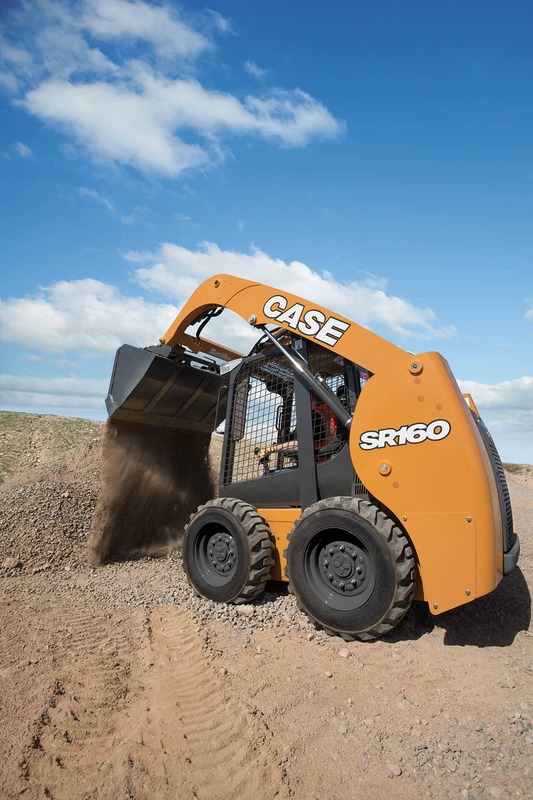 New Tier 4 technology combined with cutting edge engineering make the SR160 the best in its class. 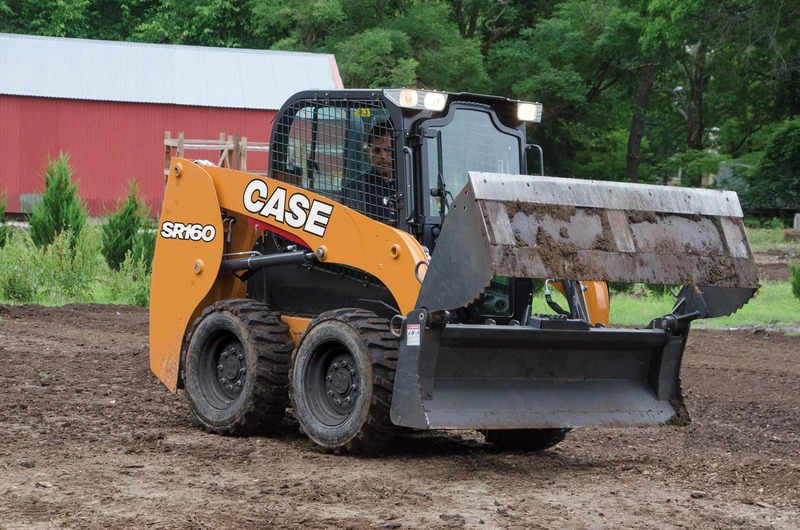 Why this solution: The SR160 offers a low cost of entry to the skid steer market while still providing the power and performance associated with CASE Alpha Series. 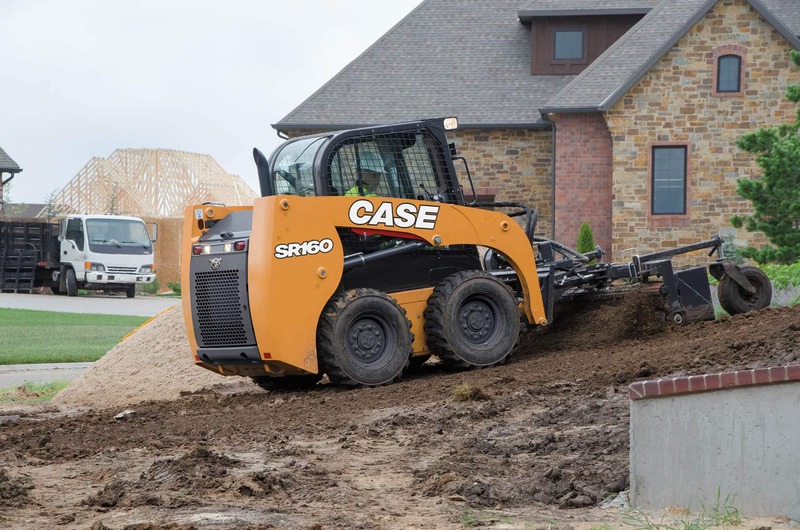 Using Tier 4 Final technology that’s more affordable, this solution helps keep the unit price down. How it works: With Cooled Exhaust Gas Recirculation (CEGR), exhaust gases are cooled, blended with fresh air and then returned to the cylinder. 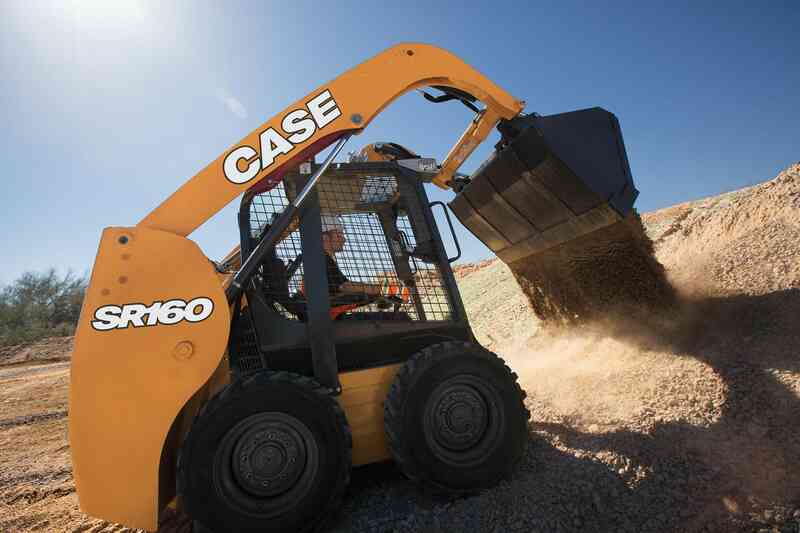 This lowers combustion temperatures and dramatically reduces emissions, but produces more particulate matter. Then the diesel oxidation catalyst (DOC) oxidizes the machine’s exhaust to create heat and further manage emissions while the diesel particulate filter (DPF) captures excess particulate matter and then burns it off through a combustion process known as “regeneration,” which helps maximize the life of the filter. What this means to you: This solution requires no new additive and provides a lower upfront machine cost, but as with all DPF systems, the filter requires replacement over time, which impacts total cost of ownership. DPF regeneration also requires additional fuel burn.